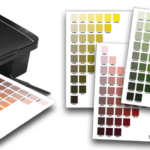 Color swatches from the home improvement store (right) in comparison with the color swatches from the Munsell Student Book. Having some neutral values at hand is very handy. 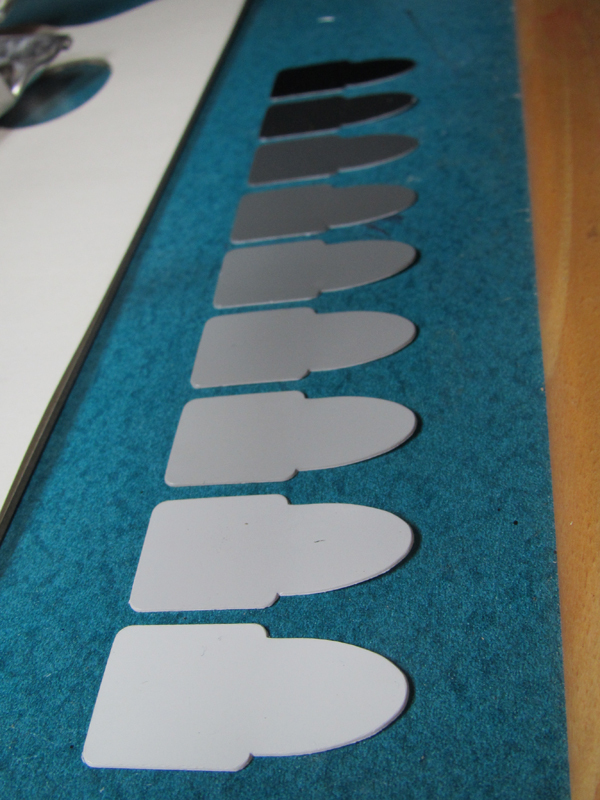 You can use them for a value scale or to mix with higher chroma colors (of the same value) to make them more neutral. 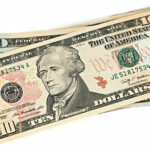 If you have problems judging the value of a high chroma color squint your eyes. 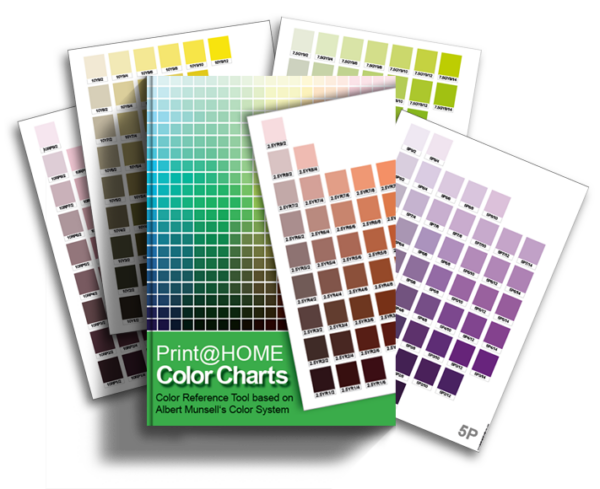 While a commercial Munsell value scale can be quite pricy* you can try to substitute it with free color swatches from the home improvement store. Compare them carefully – some will look somewhat greenish, some reddish ect. Coose the most neutral looking ones. 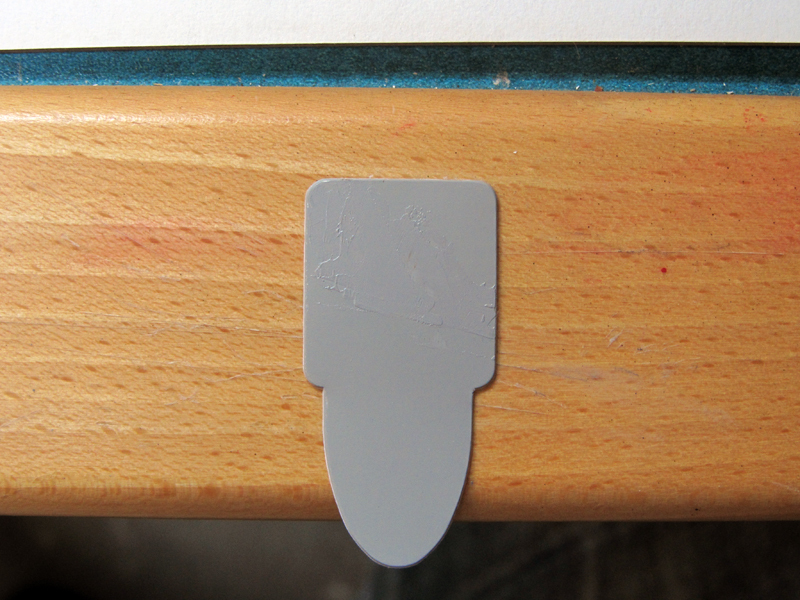 I’ve got the Munsell student book*, but the problem with the matte chips from the book is, that you can not place paint dabs onto it and whipe it off afterwards. So what you need is some kind of glossy color swatch – and those from the home improvement store should be glossy. As you can see in the above picture I wasn’t able to match some of the neutrals perfectly due to the matte chips (and little patience). Some are spot on but some are too warm. 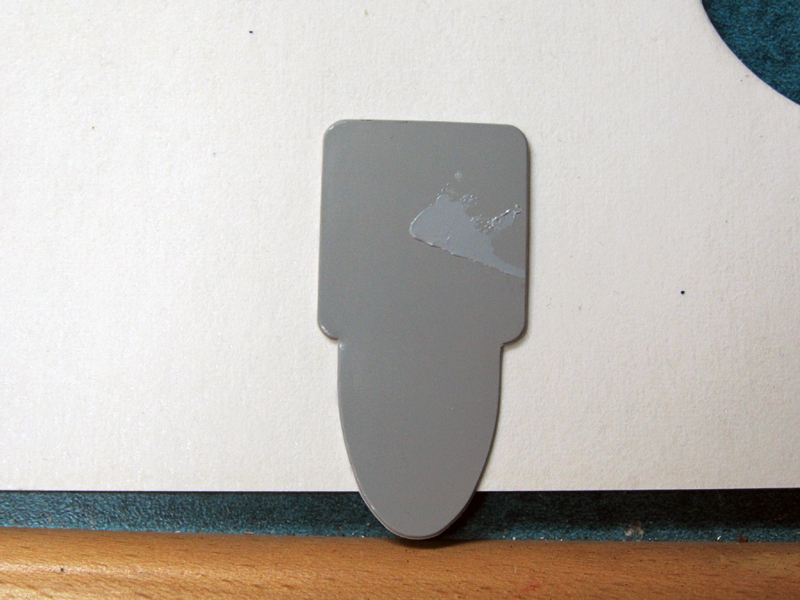 So I borrowed the neutrals from someone who has the big Munsell book, which contains chips with a glossy surface. Now I was able to check the neutrals better. The 9 glossy chips from the big Munsell book. Perfect white and black can’t be made with paints so there are only 9 chips in the 11 value scale by Munsell. 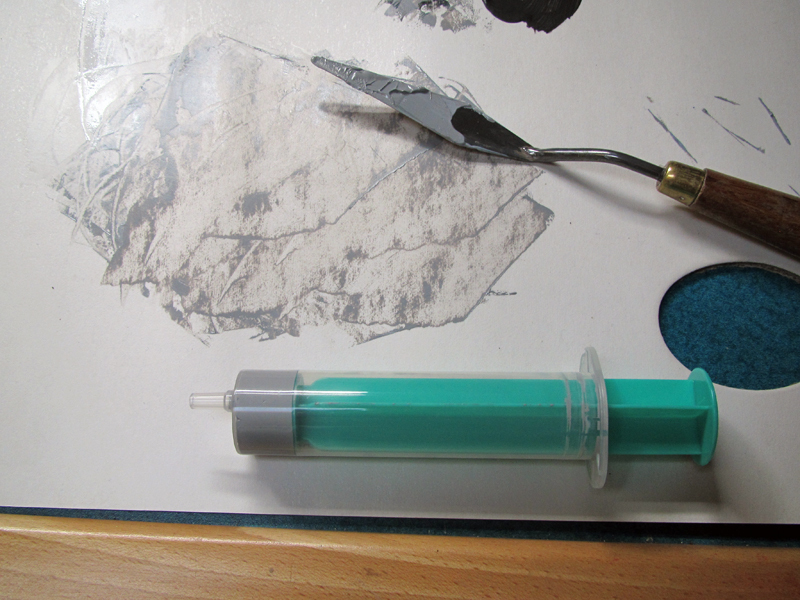 Syringes are a better alternative for empty paint tubes: easier to fill and much cheaper. 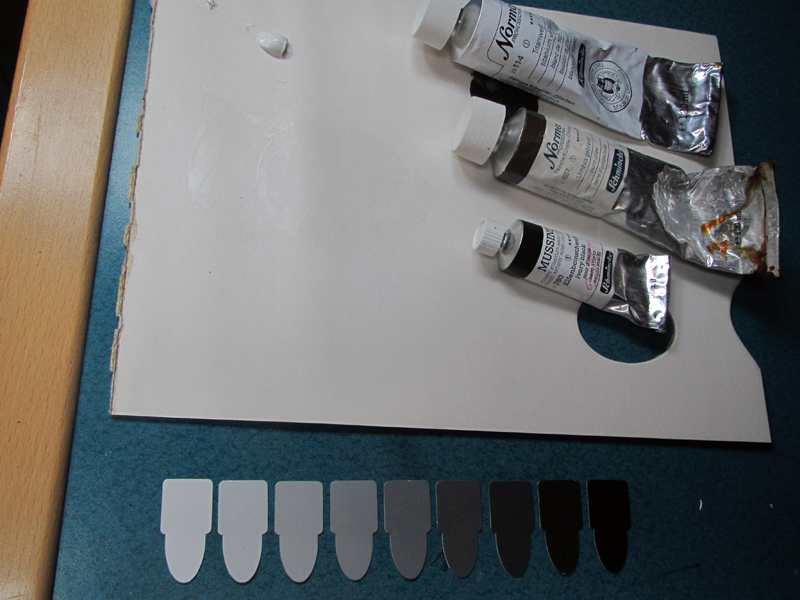 These are the paints that I’ve used: Titanium White, Ivory Black and Burnt Umber. The above picture shows the paints that I’ve used. But I had a hard time mixing some neutrals, so I needed a little bit of either Cadmium Yellow or Cadmium Red – depending on the direction I needed to go. Note that mixing Titanium White with Ivory Black will result in a cool color and not a neutral as one would expect. Ivory Black actually is a very dark blue (try it yourself by mixing it with yellow – you’ll get a green). 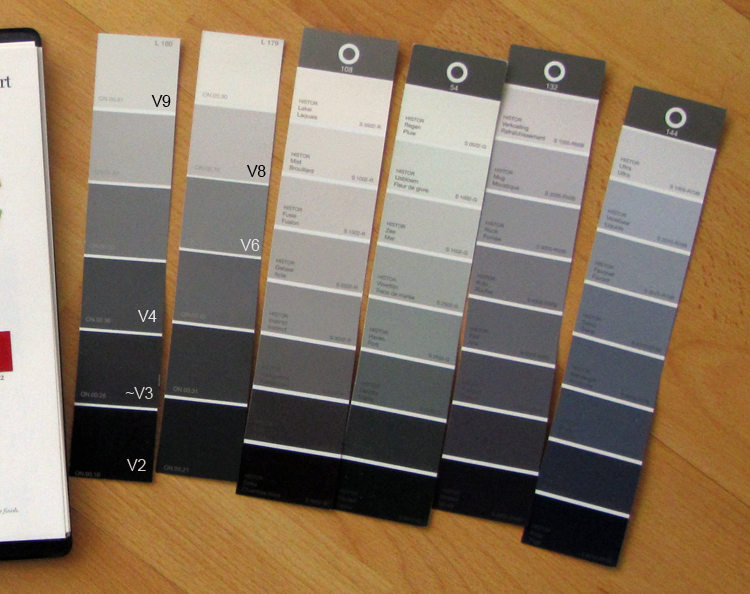 Comparison between color swatches from the home improvement store. The two on the left side are perfectly neutral. Any advice or suggestions for purchasing syringes for tubing the premixed grey values? 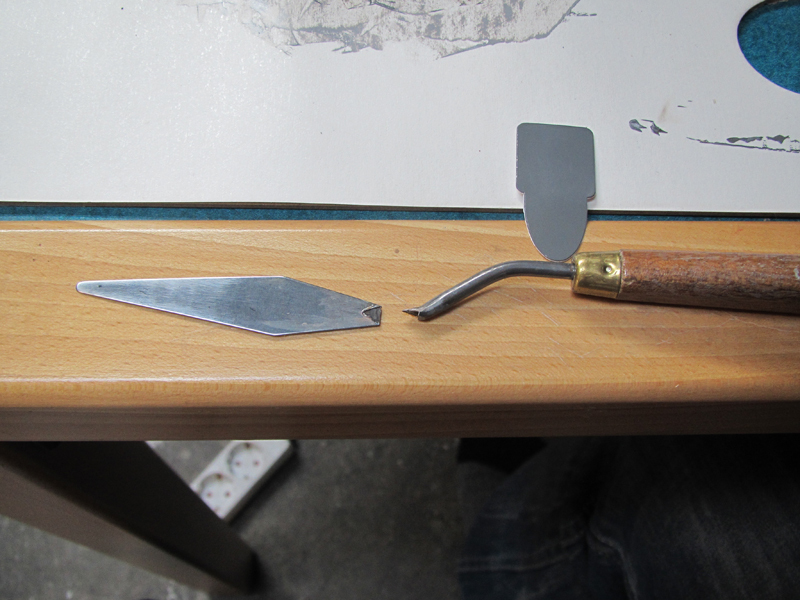 Size tip size, storing and how long will the paint last? Thanks in advance. I bought my syringes at the pharmacy for 0.20€/piece. My experience is that 5 ml tubes serve me well. The ones I used for the neutrals are 20ml and they aren’t filled up completely. 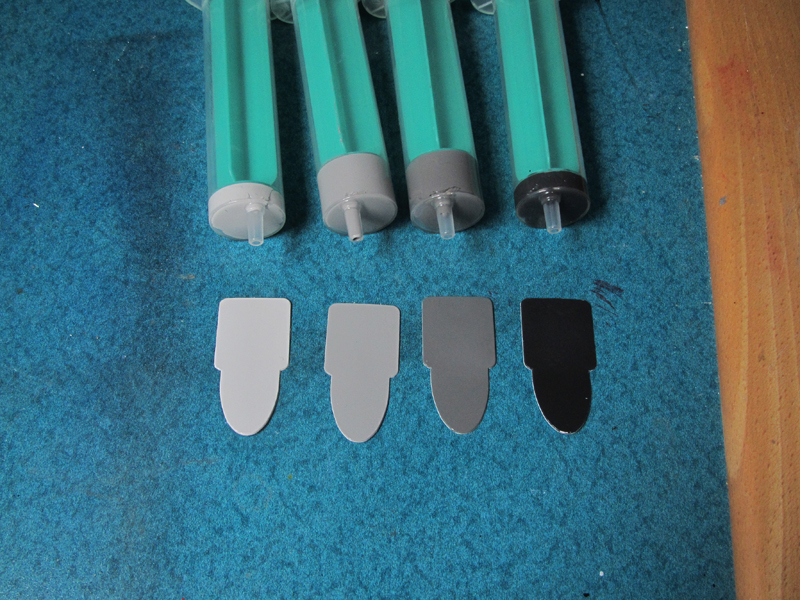 The 5ml syringes that I used for my premixed colors last – if filled up to the top – very long. Important is to seal them air tight which is not easy to do. In case it is clogged you can use a nail to push through the dried paint.